Wow! I cannot believe it has been an entire month since I wrote to everyone! Time flies when you are certainly busy, but my thoughts were with your sewing each day. 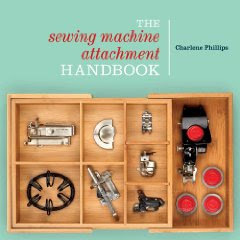 I have made several appearances and gave a few lessons about the book, The Sewing Machine Attachment Handbook. It was great fun to meet everyone at the Quilt Festival in Sharonville, Ohio and loads more in Pittsburgh, PA. In October we hope to head to Houston, Texas for another delightful quilting festival. In between meeting all you wonderful sewers, I did have some foot surgery and have been recuperating. Sewing withdrawal! Thankfully I have my Singer 99 Hand Crank to pull out and just play around with. Not an original hand crank, but that is another story of removing the motor and adding the crank. Soon as I handle those stairs I can at least work the embroidery machine! Let's talk about the Singer Penguin (not the name that Singer gave it, just the name sewers tagged to it since it looks like a cute little penguin in a tuxedo). 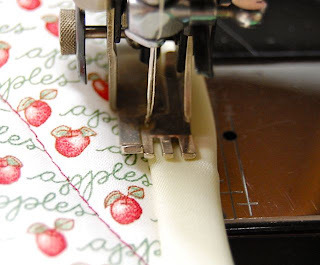 What a fantastic and lovely sewing attachment to use! 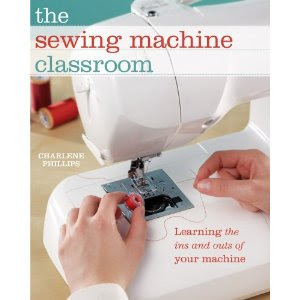 I have had the great fortune and FUN due to a wonderful sewing friend, Clare in California. 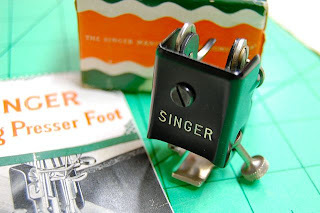 She generously sent me her new Singer Walking Foot to test and write some instructions for. Of course I couldn't refuse! 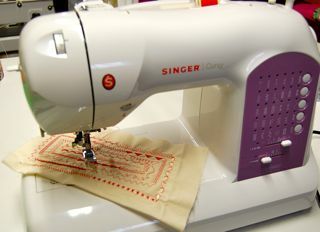 The design of this foot produces superior stitching on any fabrics that are normally hard to sew, such as quilts, leathers, vinyls, stretchy fabrics and others. 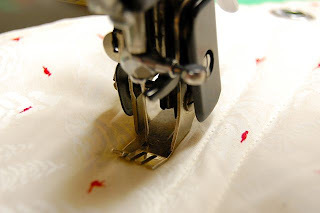 There are two toes; the left moves in unison with the feed of the sewing machine keeping the fabrics from slipping. 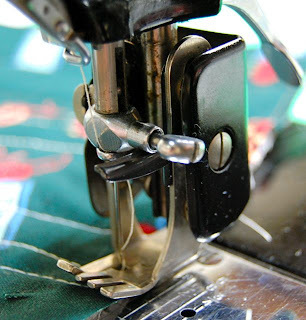 The right holds the material firmly in place while the left toe returns for each stitch. So, it does "walk". I was of course interested mainly in the quilting capability, but there is so much more to this little foot. 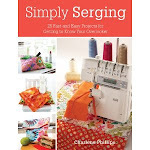 Don't discount it when you need to stay stitch, create welted seams, put on some patch pockets, or maybe some parallel stitching on collars. The foot is quickly attached to your machine just as you put on other attachments. On my Singer 221 and 99 I did need to remove the thread cutter. Although I use the larger cutter and not the original Singer, you will still need to remove the tiny Singer one. 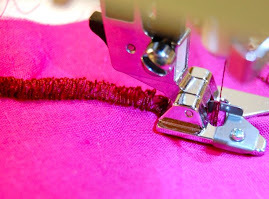 Thread your machine as usual, and choose your tension just as you do for any other stitching. You might need to regulate the amount of pressure on your fabric. I had a fabulous time with the walking foot and it was with reluctance I sent it back to my generous friend. Now on to the final writing of what else this Singer foot will do! If you run across one of these, very nice to have. The prices can be rather high but keep a good watch as you can still get this beauty at a reasonable cost. They are rarely seen, but they are certainly out there! 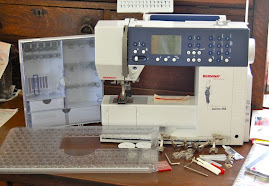 How are many of you doing on your sewing machine attachments? I see so many questions on the internet from those just learning, and love to answer as many as I can. Feel free to direct anyone to the blog or give them my email! I will respond the very best I can. Direct them to charlene@thesewbox.com. 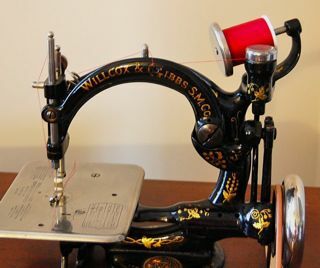 I do still carry many of the vintage and newer reproduction sewing attachments. We have also extended our inventory to include more quilting items. Some are hard to find in your local stores, and we are always glad to hear what you are looking for. Drop me a line and let me know!